97% of buyers fail doing their own searches. 80-90% of buyers who undertake formalized assisted searches buy a business. Going alone is more expensive and time consuming than using an Intermediary. Searches work because the Intermediary only acts for a named, retained, presentable buyer. Find out how an acquisition search helped one of our clients find just the right business. For Buyers interested in speeding up their acquisition search and taking control of the process, Apex offers an extremely effective Acquisition Search Service to kick your goals into high gear. 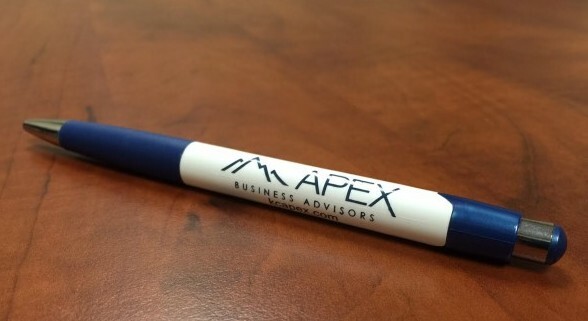 In a search, the Apex Advisor works to locate those businesses that meet your varied criteria. Your Advisor will handle the marketing, make contact with companies, gather information, arrange meetings, assist in negotiations and assist with financing. You get professional brokers who have proven their ability to locate prospects and close sales. They serve as trusted intermediaries who can follow your instructions and lead you to a prize acquisition. It means an intense and thorough search will be conducted specifically on your behalf. No stone is left unturned. It removes much of the search from your shoulders, allowing you to concentrate on your regular business. You will have an accountable and reliable subordinate in control of the project, who is motivated and responsible to move it along to completion. It guarantees you a substantial amount of our time and assurance that someone is specifically dedicated to looking for purchase opportunities. A commitment to work with us to find the best opportunity. Acquiring companies may sound easy. It isn’t. It may be the most difficult business project you’ve ever pursued. Daily or weekly communication with your broker will insure that the search progresses smoothly and helps ensure a purchase will be completed in the shortest time possible.